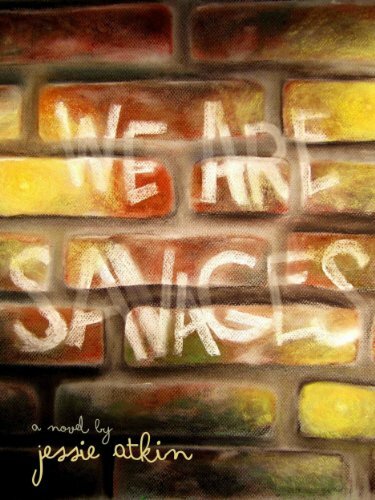 We Are Savages is the story of 12 year old Tris and what she finds when she runs from the responsibility of her household and descends through a rain grate into the child run world of Nowhere. "You go to bed angry or sad enough you can wake up just about anywhere," the Savages tell her. Nowhere is a brick utopia hidden in the sewers; made up of sweets, sports, hammocks, and fireflies. But even this haven, free of parents and protocol, is not everything it seems. Haunted by dark specters known only as Phocydes, feared for their reputation of consuming children whole, Tris works both to hunt and to hide from these hooded shadows. But something about them is familiar; something about them fires her curiosity more than her fear. And Tris slowly begins to realize that, no matter where you go, fear and responsibility are not things you can escape. The only thing to do is face them. Tris has never felt like anyone. Her parents want her to be more ladylike, and she has no friends except her dog, Mars. But that all changes on a mysterious night when Tris falls down the sewer into an amazing world full of children that call themselves savages. Fireflies that fly above the children's' heads light everything and kids sleep at anytime they want to. But that''s not even the weirdest part. There are no adults. Join Tris on an adventure where she'll meet some pretty weird kids and monsters that snack on children.